I want to share my latest project with you, the full tutorial for this Winter Fairy Luminary can be found on the Inspiration Journal blog now. And, here is the list of Hop participants so you'd better get hopping because this list is LOOOONG! ;-) I hope you come back to visit and see what inky mischief I'll be getting into in 2015! Lisa Hoel <<<<<– you are here! Very bright job! Happy New Year! Happy New Year! Thanks for participating...love the luminary! Happy blessed New Year! Great project and lovely blog! wow beautiful!!! happy new year! Cool lantern! What a unique project! Wow! Such a beautiful creation! Happy 2015! That's one WOW creation! Happy New Year! Wow, your luminary is fabulous! You are very creative! Thanks you for sharing your work and being a part of Season's Giving! I absolutely love the Lantern Luminary. Thanks for sharing. the luminary is so pretty. Thanks for sharing the idea. love the jingle bell die. I love the fairy luminary==what a cool idea! Ooooh I love your 3 D projects! So happy to have found your blog and subscribe! Always love your projects!!! Have a wonderful and creative New Year!!!! TFS and being apart of a fabulous hop. Happy to be here, lots of inspiring projects around! Thanks for the chance to win these awesome dies. Following you now. Love the Winter Fairy Luminary! Thanks for the chance to win such awesome dies! Thanks for the chance to win some awesome dies. I love your cards and giveaway! Your luminary is amazing! Thanks so much for being part of this wonderful hop! Your luminary turned out great! Best wishes for 2015! Oh my goodness! What fun. I have loved seeing your projects, they have been inspiring! What fantastic creations you have made! Thanks for the chance to win and all the best in 2015! I was looking through your blog posts and you have some AMAZING projects!! I will definitely be back! Happy new year! yet another STUNNING project, lisa! you always blow me away! Happy New year! That luminary is beautiful! I just became your newest follower. Thanks for the chance to win a great prize. Beautiful chilly project! Have a very Happy New Year 2015! Lisa you have an amazing eye for detail! These projects are beyond stunning! Thanks for offering a giveaway and Happy New Year! Happy New Year Lisa. Love that luminary. Well, I can certainly see why you had trouble picking just a few favorites. WOW! Lovely creations. Love your website too. I Love these hops. They are a great opportunity to win sample products to try in new ways. Thanks so much for the opportunity to win. Happy New Year! beautiful project l0ve the sparkle!! very stunning work....I am keeping my fingers crossed... :) ...tyvm !!! Hi Lisa. Love the beautiful luminary. Thanks for sharing and for a chance to win a great prize. Hope you and your family have a blessed new year. Happy New Year and thanks for the chance to win. Your fairies are sweet. I think your projects were lovely but if I had to pick one its def the clock with the fairy. What die did you use for the fairy, I love it? Love this blog hop, not just for the fab giveaways but all the new blogs I'm finding along the way. Lots of great inspiration. Thanks for sharing and the chance to win. Hello! The winter luminary you created is very pretty! Thank you for sharing it and the opportunity to win the Tim Holtz goodies! Happy New Year! 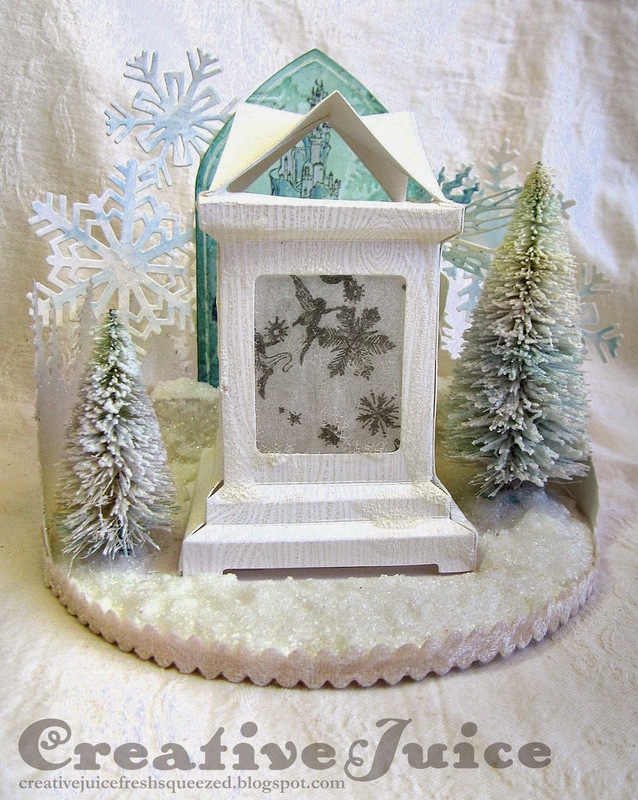 Wow, your winter luminary is gorgeous and yes, magical! Thank you for your giveaway and the best to you in 2015! this is an amazing blog hop... love your beautiful projects! Thanks for sharing all this! Great inspiration full of color and life! Love your project of the illuminary. Wonderful project! You are super talented! Happy New Year to you and yours. May this year be blessed. I love this luminary - very elaborate. Thanks for a chance to win this great prize. What a beautiful project! Thanks for the giveaway and I wish you the best in 2015! Love your luminary, going to check the Halloween one now. thank you for the giveaway! I love your projects! Thanks for sharing. 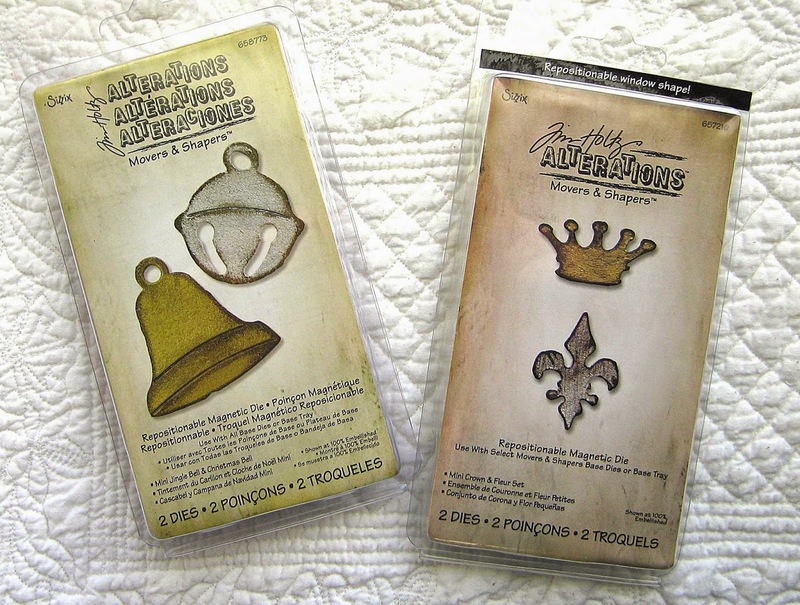 I also love Tim Holtz and those dies will be at home in my collection :) Thanks for the chance! What a beautiful luminary. Thanks for the chance to win. Wow! That luminary is just beautiful!!! I follow you by email now :) emeraldmaz@yahoo.com Thanks so much for the tutorial and the giveaway!!! Wow! Thanks for the chance to sneak about your blog - love all the 3-D work you do haha, inspires me to get out of just flat paper and start finding some goodies around the house to reinvent! BEAUTIFUL luminary!! I am now a follower, so I don't plan on missing any other projects that you post. I checked out the other projects you linked for us to see. FANTASTIC work. 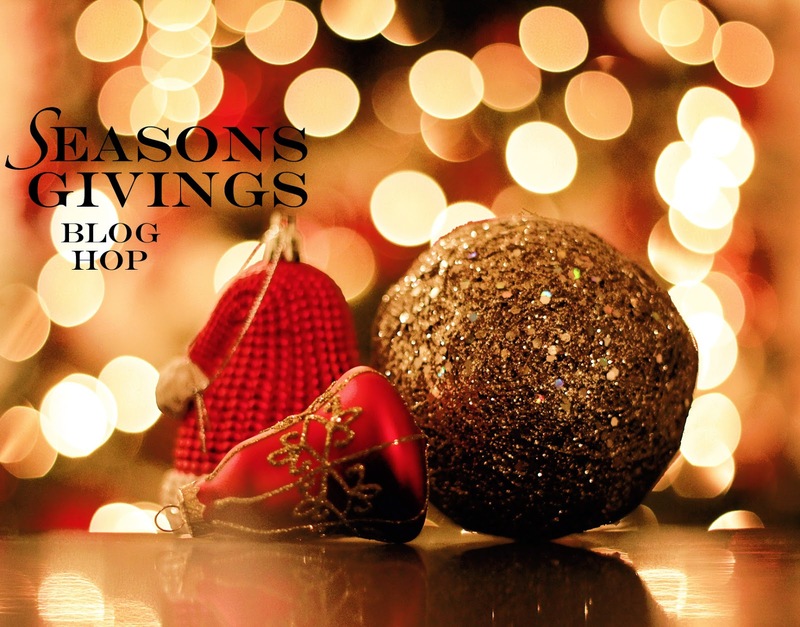 Thank you for being a part of this blog hop. It has been a creative journey!! Happy crafting in 2015!! Your Valentine cookie box from 12-28-14 is a WOW. Thank you for your creative inspiration. I love your candle screens and Halloween Illuminary!! Great work. You inspire me to do more this year. Thanks for the chance to win some fun products! Happy 2015! I forgot to mention that I started following your blog! Gorgeous luminary - the colours are so wintery! Thanks for the chance to win the TH dies. Am following your blog. Thanks for the amazing blog hop, even if it does have me in the doghouse with my husband for spending most of the new year so far on my computer. LOL Beautiful projects. What a wonderful giveaway! Thank you for a chance to win :) Happy New Year! Just saying HELLO. Great project!! Happy New Year, may this year be even better than last. Winter Fairy Luminary is wonderful. TFS. Beautiful! Am going to follow you! Thanks! Thank you for the chance to win some blog goodies. I love the wintery lantern. Supercool project! Thanks for the inspiration! What a gorgeous luminary project. Thank you for sharing your work and for the chance to win. Happy new year! What a gorgeous creation, I'm so happy to have found your blog - very inspirational. I'll definitely be back. Thank you for the chance to win your giveaway. Beautiful projects. Thanks for showing it to us. Great projects. My fave is the Caroler's lantern. Love all your projects. I never thought I'd want the lantern die but you have changed my mind. Have a great New Year! Happy New Year! I am following you! great work! I am a follower and will be back to visit soon. Happy New Year to you. happy new year! new ideas and inspiration !!! Thank you so much for sharing your wonderful cards with your fans and thanks for the giveaway. Happy New Year and can't wait to see what wonderful creations you have in store for 2015! Thanks for sharing your talent and for the chance to win such an awesome giveaway! Blessings to you in 2015! Your fairy luminaria is so beautiful! I have to admit that altered projects kind of scare me so I really admire yours! WOW! That is so beautiful, I love how you did the fairies and snowflakes! Happy New Year! Your Winter Fairy Luminary is very pretty. Happy Blessings for the New Year. Thanks for showcasing your talent to us and for the giveaway. Best wishes for 2015! Thank you for the chance to win! Happy 2015! My kind of blog. Your creations are just to my taste. So glad to have discovered you. Thanks for the chance to win a prize too. I'm a new follower. Loving your blog. Thank you for a chance to win this giveaway.